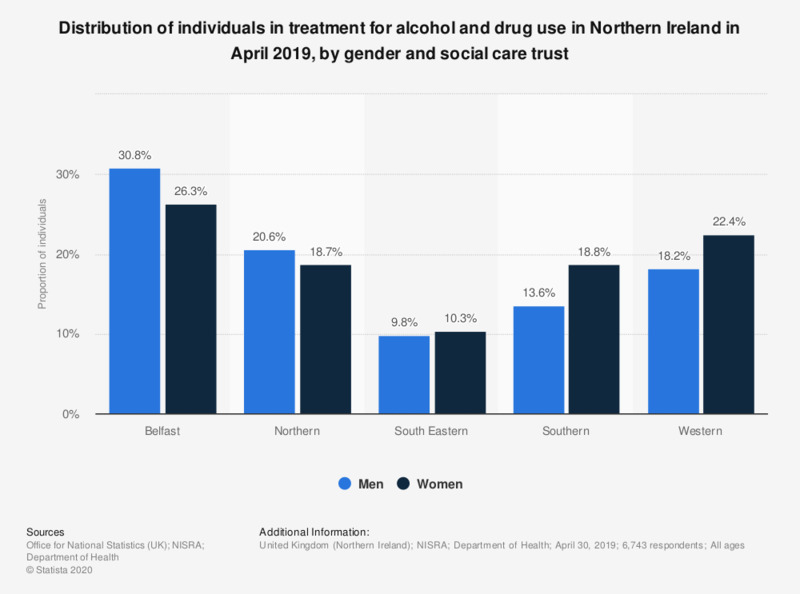 This statistic displays the proportion of individuals who are in treatment for alcohol and drug use in Northern Ireland, in 2016, by gender and social care trust. In this year, 26 percent of men and 23.2 percent of women were receiving treatment within the Belfast trust. * n (men)=5,377, n (women)=3,176.